Blaming salmon concerns on Snake River dams is a red herring. I serve the people of Washington's 9th Legislative District, which includes the lower Snake River from the Idaho border west to U.S. Highway 12, a short hop from its confluence with the Columbia. So when there are new headlines about the idea of breaching the four lower Snake dams, I'm always curious about who's pulling the strings and how. This time around, the headlines were prompted by a recent telephone poll of 400 Washington residents. It was funded by Defenders of Wildlife, Earthjustice, the Natural Resources Defense Council and other environmental-activist groups. He who pays the piper calls the tune, and in this case, they who paid for the poll no doubt had a particular result in mind. Thanks to a set of cleverly skewed questions, which began by asking if the respondent wants to keep wild salmon from going extinct (who doesn't?) and went on to minimize the value of the Snake River dams and the success of federal fish-passage efforts, the outcome was assured. The Spokesman-Review's own headline, "Poll shows Washington voters choose salmon over dams," suggests the activist groups' money was well spent. Not surprisingly, the subjective poll and the provocative headlines it produced came right as Congress is considering a vote on H.R. 3144, which would help shield the Federal Columbia River Power System (which includes the Snake River dams) from the actions of a rogue federal judge. 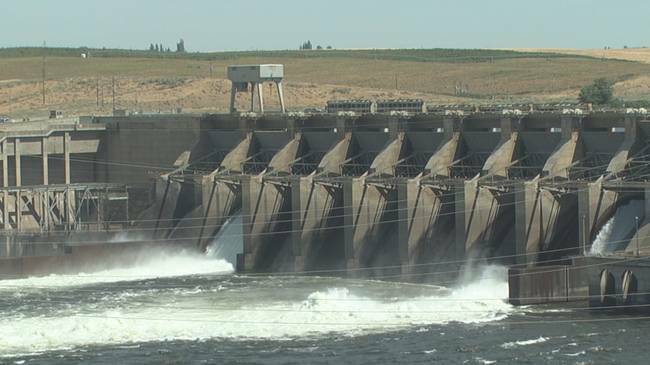 The bipartisan bill was introduced by our local U.S. Rep. Cathy McMorris Rodgers, whose territory (Washington's 5th Congressional District) also includes all four dams. It is co-sponsored by two fellow Washington-delegation members, U.S. Reps. Dan Newhouse and Jaime Herrera Beutler, and five congressmen from other Northwest states. The nonpartisan Washington Policy Center did a good job of exposing the biases and outright falsehoods in the anti-dam poll. But the Bonneville Power Administration and other federal agencies involved in our region's hydropower are still bound by an Oregon-based federal judge's 2016 order to produce a new salmon-recovery plan this year -- a process that must consider breaching the four Snake dams. In 2017, when our state Senate was still being led by a bipartisan coalition, a majority of us approved a formal message to Congress in support of the Snake River dams. Our Democratic colleagues who control the House of Representatives refused to vote, however, and kept that message from being sent. Even so, I hope the conservatives who are in charge in Washington, D.C., will approve the McMorris Rodgers legislation soon and affirm the many benefits the Snake dams offer. Beyond producing enough clean energy to supply nearly 2 million homes, the dams create water storage for irrigation and recreation throughout my legislative district and the surrounding area, and enable fuel-efficient transportation for grain and other commodities from Idaho and southeast Washington all the way to the Pacific Ocean. Salmon populations are affected by many things -- harvests, natural predators and ocean conditions, for instance. But those don't lend themselves to a lawsuit or a telephone poll very well, so it's easier to blame the drinking-water wells of rural property owners, as we saw in the environmental-group lawsuit that led to the state Supreme Court's disastrous Hirst decision. And to target inanimate but tangible objects like big concrete dams that are largely out of sight. I have no interest in seeing wild salmon become extinct, and judging from the impressive survival rate of juvenile fish passing through the Snake River system in our state, extinction due to the dams isn't a credible concern. Despite what extremist environmentalist groups want people to think, there is no choice to make between salmon and the Snake River dams, because we can continue to have both. The sooner the other Washington sides with that thinking by passing the McMorris Rodgers bill, the better.